An independent family property offers reasonable rates. Standard lodging rooms, extended stay units, and standalone suites are available. Each spacious room at this property provides value with two rooms, a kitchen, and an outdoor balcony. Set on the east end of Great Falls, this property is minutes from Malmstrom Air Force Base, the Lewis and Clark Interpretive Center, and Giant Springs State Park. This property, located on the west end of Great Falls, Montana offers simply furnished rooms close to Montana ExpoPark, and nearby shopping. This property, near the Holiday Village Mall, offers breakfast, clean, comfortable rooms, and competitive rates. Conveniently located in the Marketplace Shopping Center, at the west side of Great Falls, Montana, the Comfort Inn & Suites standard rooms and suites within walking distance to stores, restaurants, movie theater, and outdoor recreation. It is minutes from Great Falls International Airport. The Crystal Inn Hotel & Suites is located across from the Great Falls International Airport. Spacious lodging rooms and suites available, along with a salt water pool, Jacuzzi, and workout room. Each stay includes a full hot breakfast buffet. The Crystal Inn Hotel & Suites offers an airport shuttle for guests flying out. Offering value and breakfast, the Days Inn offers access to the River’s Edge Trail and is near Montana ExpoPark, shopping dining and minutes from Downtown Great Falls and the Arts and Culture attractions. Located in downtown Great Falls, the Econo Lodge offers affordable rooms in the heart of unique shopping, dining, and downtown fun. Steps away from the Missouri River, Extended Stay America offers clean, comfortable suites that include room to relax. Access Oddfellows Park and the River’s Edge Trail in seconds and downtown Great Falls in minutes. Close to the Benefis and Great Falls Clinic Medical Corridor, the Great Falls Inn offers a unique blend of quality and quiet. Complimentary continental breakfast served every morning, with fresh hotel coffee and tea available anytime. The lobby is decorated with original art, and a fireplace, great for relaxing. Located in downtown Great Falls, Montana, this property offers comfortable accommodations in the heart of unique shopping and dining. Offering spacious guest rooms, this property is near Great Falls International Airport and offers breakfast. Located on the west end of Great Falls in Marketplace, the area has quick access to shopping, a movie theater, and dining. When staying at the Heritage Inn, enjoy the gorgeous indoor pool surrounded by a courtyard of lush greens. Business and leisure travelers alike frequent this Montana hotel’s on-site sports bar and casino. The Heritage Inn is located near shopping, dining, and the River’s Edge Trail. Located in Marketplace, this property is located near Great Falls International Airport and is within walking distance from shopping, dining, and entertainment. The Hilton Garden Inn offers spacious rooms and suites, cook-to-order breakfast in the lobby, and a lounge to relax in. Located off the main corridor of 10th Avenue South, this property offers accommodations with quick access to the River’s Edge Trail, shopping, and dining. The Holiday Inn is full-service offering spacious rooms, on-site pool, sports bar, and dining. On Great Falls’ west end, this property is in Marketplace with ready access to Great Falls International Airport, dining, shopping, and movie theater. Well-appointed rooms and suites await, as does an indoor waterslide and pool. The oldest commercial building in Great Falls, Montana is home to this boutique property, the recently restored Hotel Arvon. Located inside the Arvon Block is the Darkhorse Hall and Wine Snug and the Celtic Cowboy Pub and Restaurant. Historically named suites, and guest rooms are designed the same, but no layout is the same at this property. The Lobby acts as a coffee bar and art gallery featuring local and regional artists. Nestled in downtown Great Falls, Montana, this property is near the historic Brother Van House, dining, and steps away from the downtown shopping and dining district. Located on the Missouri River, this property offers immediate access to the River’s Edge Trail, and quick access to downtown Great Falls. The La Quinta offers quality suites and rooms, breakfast, pool, and outdoor patio. Newly renovated and located in downtown Great Falls, this property is across from the historic Brother Van House. Connected to Perkins Family Restaurant and mere blocks from the downtown shopping and dining district. The affordable Motel 6 is located on the west end of Great Falls offering standard rooms and breakfast. A partner with the Best Western Plus Heritage Inn, and located in the same parking lot, Motel 6 travelers are invited to use the amenities there, to include a pool and onsite lounge, restaurant, and coffee bar. Additional dining and shopping are just minutes away. Home to the legendary Sip n Dip Lounge where live mermaids entertain, the O’Haire Motor Inn is a 50s style mid-Century modern boutique property with affordable guest rooms, an on-site restaurant, and infamous lounge singer Piano Pat. This property is located downtown, with quick access to shopping and dining. Located right on the main corridor, 10th Avenue South, this affordable property shares a parking lot with the Holiday Village Mall. An easy walk has you at a variety of shopping and dining options. This property is on the edge of the downtown district and offers tastefully decorated standard rooms. Near the Paris Gibson Square Museum of Art, this independent property provides easy access to downtown shopping and dining. An affordable, locally owned property sits near the east end of Great Falls on 10th Avenue South. Near the Benefis and Great Falls Clinic Medical Corridor, Ski’s Western Motel is close to dining and shopping options. Less than 5 miles from Great Falls International Airport, the Springhill Suites serves as a basecamp to the Bob Marshall Wilderness Complex, Freezeout Lake, and Glacier National Park. Springhill Suites Great Falls features studios with a semi-divided living and sleep area, work space, pantry with microwave and mini-fridge, sofa sleeper, plush bedding, and a flat-screen TV. Start your day with a free breakfast, enjoy our heated indoor pool, get a workout at the fitness center, or stay connected with free WiFi. Business travelers and wedding planners love our flexible meeting space ideal for large or small Gatherings. This all-suite property is close to Montana ExpoPark. These one-bedroom and two-bedroom suites all have kitchens and provides breakfast and dinner in the lobby. 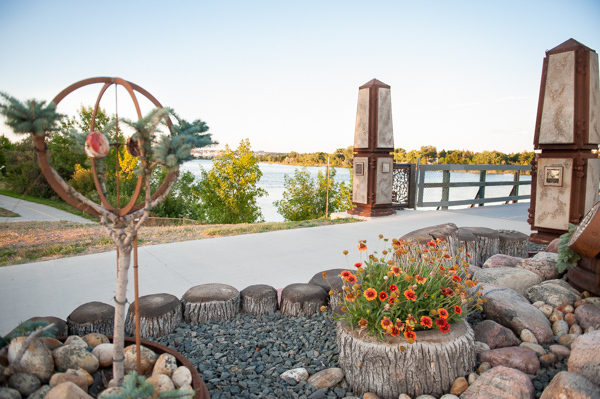 Steps away from West Bank Landing and West Bank Park, and River’s Edge Trail the Staybridge has a patio overlooking the Missouri River. The location provides access to the downtown shopping and dining district, and northwest shopping district. This property shares a parking lot with the Holiday Village Mall and offers clean, affordable rooms just off the main corridor of 10th Avenue South. An easy walk gets you access to a variety of additional shopping and dining options. Located off US 87 and five miles from Great Falls International Airport, the Wingate by Wyndham is minutes from Holiday Village Mall and a variety of restaurants. At the Wingate by Wyndham, you’ll appreciate convenient amenities including free WiFi and breakfast, an indoor pool, and well-equipped business center. The Wingate by Wyndham offers year-round value, breakfast, pool, and well-appointed rooms. Opening Spring 2019!